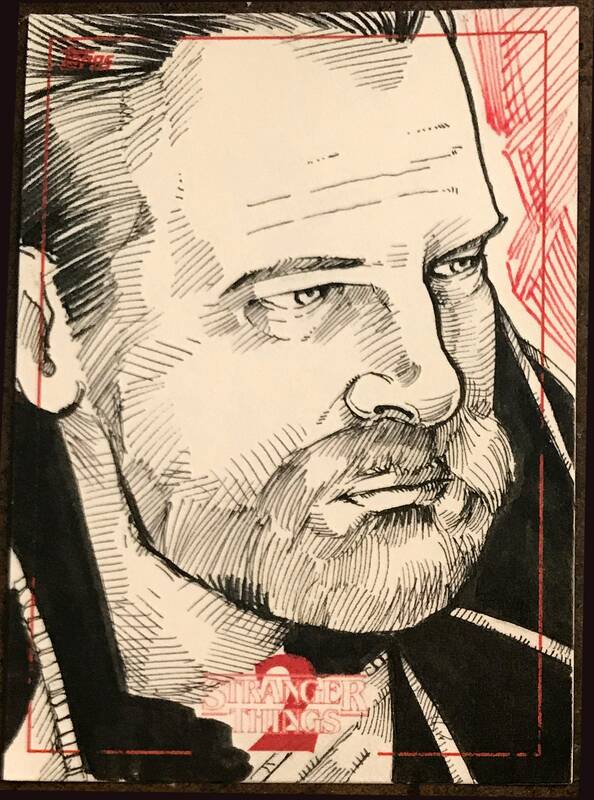 This is a sketch card, a piece of completely original, one of a kind art work created for Topps and Netflix for the Stranger Things Season 2 trading card set. This is the second set of cards to be produced for the show, and I am honored to be a part of the project. It is labeled as one of one, and signed on the back. This is an original drawing, and not a copy.